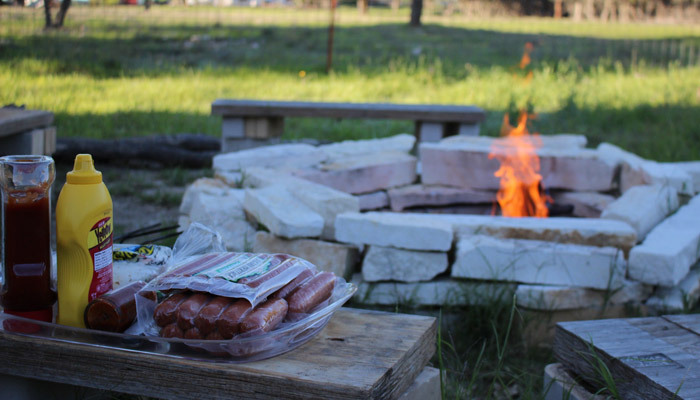 For the average American, an outdoor living space consists of only two basic elements: a grill and a deck. But you never wanted to be average anyway, did you? 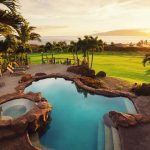 A swimming pool is, by far, the most beneficial addition you can make to your back yard. But like water features, fire features offer added appeal both visually and emotionally. Of course, just like your pool, a fire feature will also bring increased risk and extra responsibility. If you’re prepared for it, though, you can easily avoid the potential problems that can come with fire features. Before you start planning to incorporate a fire feature into your poolside patio, be sure to check with your local authorities; some municipalities have specific regulations regarding open fires. Check with your local fire marshal or fire department to find out if your city requires you to get a permit before installing your new fire feature; otherwise, you may be subject to fines. A typical permit will include details regarding general safety precautions as well as weather limitations; windy days might make your fire a nuisance to your neighbors. In addition to your local governmental authorities, you’ll also want to contact your homeowners insurance agency. If your area is at risk for wild fires, you may be required by your homeowners insurance policy to report your fire feature, and increased premiums may result. As you decide on an ideal location for your new fire feature, make safety a primary factor. Location will greatly impact the risks associated with any open fire. For instance, make sure the surface will be solid and level, without any overhanging trees, roof lines, or other structures; an open fire should always be open to the sky. 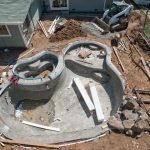 You’ll also want to make sure that the space where you plan to add the fire feature is not in a natural path to the pool or other areas where children may be likely to run or play. 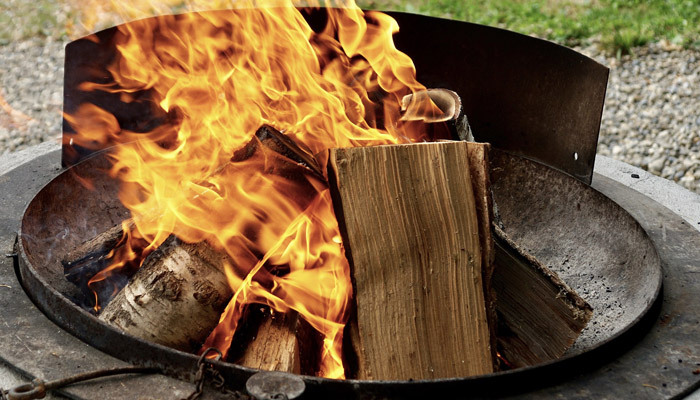 Make sure the fire feature is a safe distance from any combustible materials, as well as flammable natural elements like trees or buildings: 10 to 20 feet is usually a good rule of thumb. 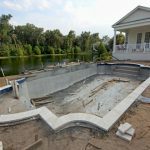 Just like with your swimming pool, you’ll want to be proactive about creating expectations for behavior surrounding your new fire feature. One suggestion we have is to make sure a fire extinguisher or garden hose is within easy reach, whenever the fire feature is in use. Never start a fire on a windy day or allow flammable liquids (such as lighter fluid) to be used to start a fire. Anyone who is stoking the fire should be wearing fitted clothing that’s not made from especially flammable fabrics. Never leave a fire unattended by a responsible adult, and when it’s time to abandon it, ensure that the fire is completely out. First, let it die down, and then pour water over embers in order to completely extinguish any burning embers. Since 1979 Lyon Financial has made the backyard resort dream come true for over 400,000 families across the U.S. 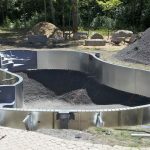 Through our solid relationships with more than 3,000 pool contractors and our continued commitment to putting our clients first, we have built a reputation as the first choice in providing pool financing solutions. 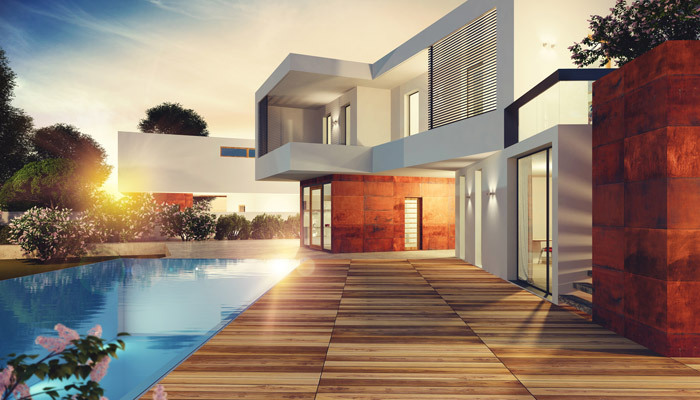 We also offer financing solutions for kitchen remodels, master bathroom updates, backyard decks, outdoor kitchens, or any other home improvement your home may need. For more information, visit lyonfinancial.net or call (877) 754-5966 today.